Props to Michelle — Paolo M. Mottola Jr. I'm a bad friend. 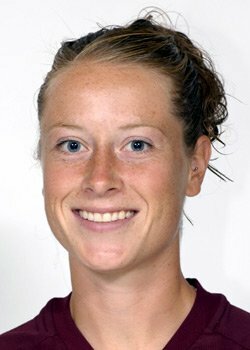 Here we are, three weeks out from the Division II women's national title game, and now I'm recognizing Stadium HS and SPU soccer great Michelle Everson. Better late than never, I guess. SPU lost to Nebraska-Omaha 2-1 in that game, but take into context that the SPU women's soccer program has only been in existence for five years. Michelle was named to the NCAA Division II all-tournament team. Both the Seattle Times and Tacoma News Tribune have written articles about Michelle and SPU soccer during the past month. Here's a little known story: Michelle asked me to Twin Tolo senior year of high school. We went together, and she professed her undying love to me at Jazzbones over burgers. I told her we shouldn't get involved, as I sensed her best friend Ally shared the same feelings for me and I didn't want them to get in a scuffle. I told Michelle to move on and play soccer and SPU. She's had a successful soccer career and is now engaged to a great guy, Tony. I couldn't be more happy for the both them, but I have to take some credit for her collegiate success as it all could have turned out differently that night at Jazzbones. We have both moved on and, fortunately, have remained friends. In related news, Gwen Stefani is pregnant. She and I were happy to receive the news as we have been trying to conceive for some time. Please respect our privacy and contact our publicist if you have any questions. Thank you.